Chelsea take on West Ham in the London derby looking to maintain their top four challenge. Chelsea’s last two games in the Premier League have ended in two wins, and as a result have strengthened their pusruit for a top four finish. The Blues were last in action on Wednesday evening, when they picked up a convincing 3-0 win over Brighton at Stamford Bridge. Their visitors West Ham come into this game in very inconsistent form. 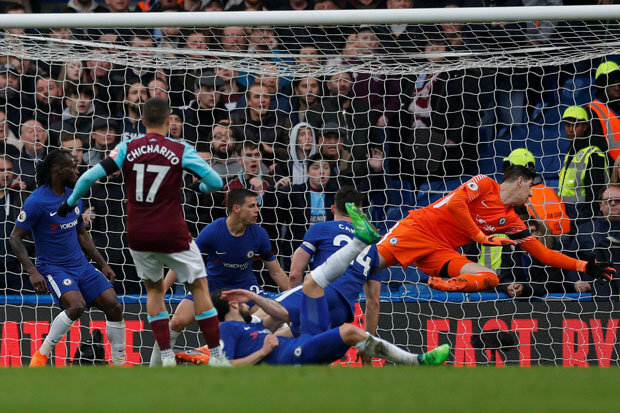 The Hammers were last in action on Saturday April 30, when they lost to Everton at the London Stadium by 2-0. West Ham are currently 11th in the table on 42 points. five points behind inform Leicester City who are currently in 7th place. This game is being shown as Monday Night Football (MNF) on Sky Sports Main Event, and Sky Sports PL Coverage starts at 7pm (UK time), with kick off being at 8pm (UK time). Chelsea have every player available for selection for this game. However, expect roatation from Sarri as his side have a busy week coming up. Starting tomorrow, then they have their 1st leg of the Europa League quarter final against Slavia Prague on Thursday. Then topped off next Sunday by a visit to Anfield to take on Liverpool, in what could turn out to be a pivotal game in the title and top four race. Carroll, Reid, Wilshire, Sanchez and Yarmolenko are definitely all out of this game with injuries. Felipe Anderson, Fredericks and Nasri are all doubtful for this game on Monday night. Chelsea’s predicted starting eleven (4-3-3)- Kepa; Azpilicueta, Rudiger, Luiz, Emerson; Jorginho, Kante, Loftus-Cheek; Hudson-Odoi, Hazard, Higuain. West Ham’s predicted starting eleven (4-4-2)- Fabianski; Zabaleta, Diop, Ogbonna, Cresswell; Rice, Noble, Anderson, Snodgrass; Hernandez, Arnautovic. “Of course I was not happy and I did not want to give excuses afterwards. When you play so badly in both boxes of course it is a bad game. “Nobody was happy after Everton. We are trying to finish as high as we can in the table this season and we are involving all the players in that mentality. These two sides have met 109 times over the years in all competitions, with Chelsea having a better head to head record in all comps. The Blues have beaten the side from East London on 47 occassions. There have been 22 draws between these two sides over the years in all competitions. And West Ham have beaten the West-Londoners on 40 occassions over the years. In terms of league head to head record, these two sides have met 99 times over the years, with again Chelsea having the better of it. They have beaten West Ham 41 times in league comps over the years. There have been 21 draws in league competitions, including last year’s 1-1 draw at Stamford Bridge. A game that saw Javier Hernandez score at Stamford Bridge again. 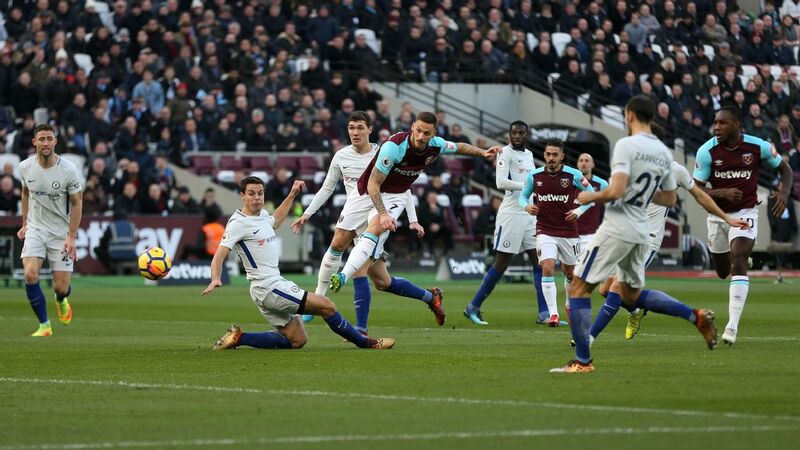 And West Ham have beaten Chelsea 37 times in league competitions over the years, including their 1-0 win at the London Stadium last season, due to a Marko Arnautovic goal. 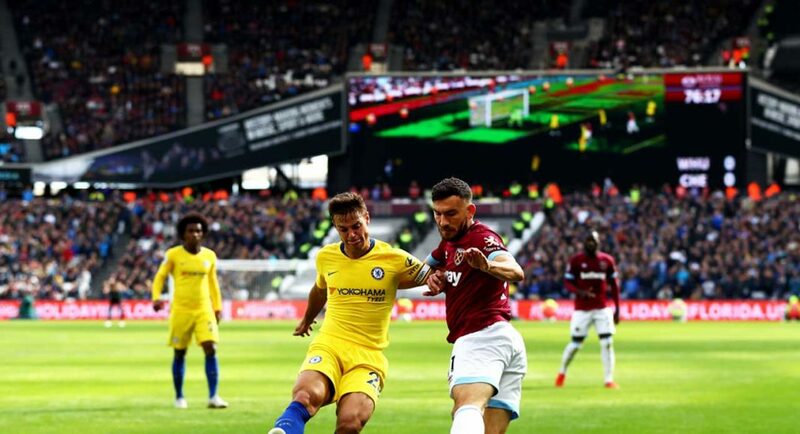 The last meeting between these two sides came earlier this season in the Premier League (September), when these two sides played out a 0-0 draw at the London Stadium. Bet 365 have made Chelsea favourites to pick up the three points in this London derby. A Blues win is being priced at 1/3. A draw between these two teams is being priced at 19/4. And a surprise West Ham win, which would throw Chelsea’s top four chances in jeopardy- is being priced at 17/2. My realistic prediction as a journalist for this match is a tight 1-0 win to Chelsea. My optimistic prediction as a Chelsea fan for this match is a 3-2 Chelsea win. I can see this being a high scoring London derby. I think Hazard will score two, and Hudson-Odoi will score the winner. I think West Ham goals will come through Hernandez and Anderson. Comment down below in the Twitter comments- your score predictions and predicted starting line up for this game.